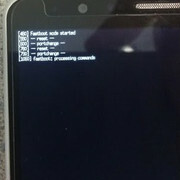 My phone Show Only Fastboot Error Logo.can't connect in Download Mode and No Recovery Mode.Fastboot Information Show Unknown Device. i connect Phone In Pc alway Show Format Partition Error. how Can I solve This Problem. Connect Phone in pc with Qualcomm EDL Mode.